The NSA can still collect your data thanks to Executive Order 12333. Jennifer Wieda joins this episode that revealing this old “loophole”. Also on this show, legal marijuana and a cryptocurrency known as PotCoin, another glance at TMNT, & news from metal band Overkill! Banks Won’t Do Business With Legal Marijuana Sellers. Enter PotCoin. 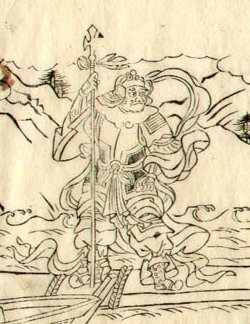 The 7 Propitious Gods: Bishamonten 毘沙門天 – Wealth or War – Which is it? Net Neutrality faces disaster, as Andrew Sorcini of The Drill Down tells us all about the court that struck down a law that may change the internet significantly. We follow-up on Affluenza – in California, with a proposed bill that won’t allow use of the defense made famous by Ethan Couch. Shia LaBeouf is up to more antics, & The Simpsons are coming to the internet… but with a catch.